Photos by Bob Thomas, Grande Riviere, Trinidad, June 2004. Photo by Bob Thomas, Trinidad, June 1988. 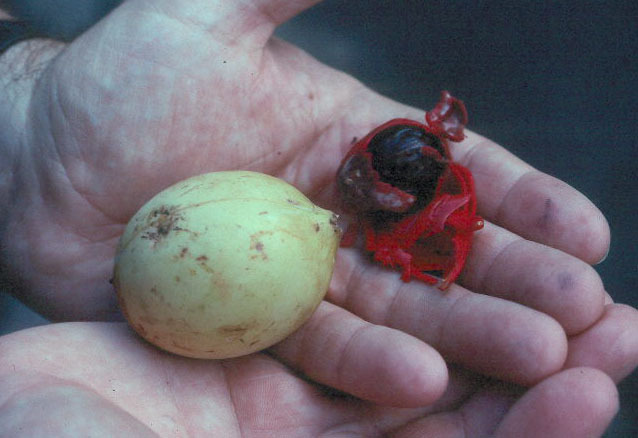 Nutmeg (the nut) and mace (the red aril that is attached to the nutmeg within the seed coat) are common seasonings used in the tropics and elsewhere. 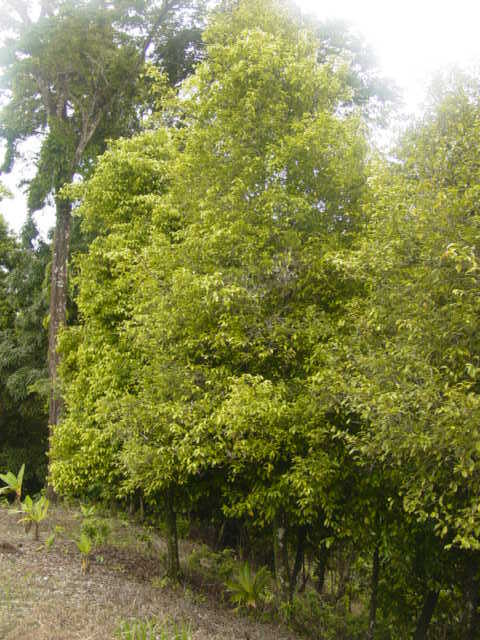 They are a good wildlife food, and it is the favored food, as an example, of the Piping Guan (Pawi) in Trinidad. 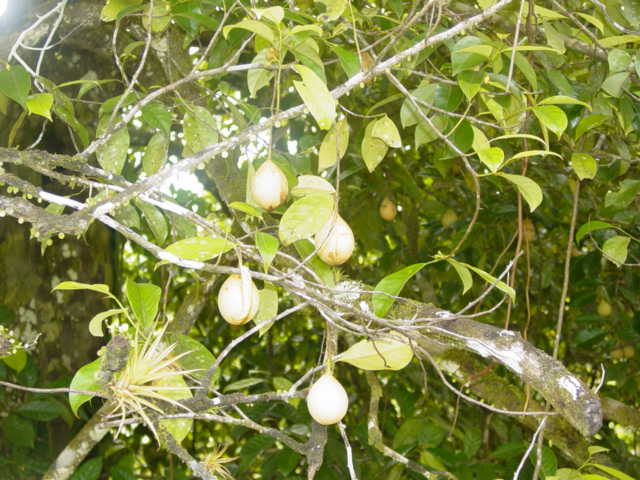 Go to the nutmeg tree in Grand Riviere at daybreak and you are likely to see a pawi.